CMS has finally pulled more than $200 million dollars from King-Harbor hospital in south LA. Federal officials dealt a fatal blow Friday to long-troubled King-Harbor Hospital, announcing that the public medical center had failed a critical inspection and would lose the $200 million it needed to continue operating. The emergency room was permanently closed late Friday, and Los Angeles County officials plan to halt in-patient services at the landmark hospital within two weeks. King-Drew Harbor is no stranger to trouble. Indeed, it is kind’ve stunning how long it has taken CMS to pull their funding. In the most recent review, a 13-member team of federal regulars found that King-Harbor failed to meet eight of 23 national standards for patient care. The failures included a lack of supervision of emergency-room patients who are a danger to themselves and others; patients who were placed at risk of exposure to tuberculosis; and staffers who were unable to correctly calculate dosages for medications administered to pediatric patients. [I]npatient treatment will be provided at Harbor-UCLA Medical Center, Rancho Los Amigos National Rehabilitation Hospital and at private hospitals under contract with the county. You have to feel bad for Drew SoM, although they severed their ties with King-Harbor several months ago, the hospital’s collapse gutted their residencies’ ACGME accreditations. I don’t know how much of a this burden is on them, they did dump the vast majority of their Trustees and their President in the aftermath of this fiasco but I still feel for them…they graduated a class of 21 this year! Yikes. 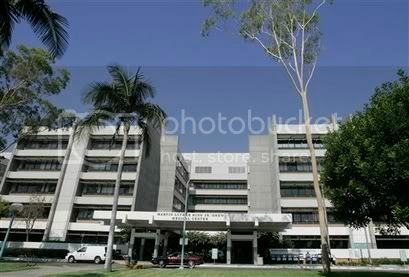 It sounds like the county commissioners are saying all the right things about getting a quality hospital for south LA. Let’s hope that happens.